One my favorite memories as a kid was visiting The Corning Museum of Glass. I loved visiting the gift shop and picking out a delicate, glass jewelry box with a bird etched on the top. Both the lid and the bottom were pure glass which I held some of my favorite trinkets in for years! I was a little older than what my children are now when we visited the museum so I wasn't sure if it would be a smart idea to bring three children under the age of seven to a GLASS museum but I didn't want to pass up the opportunity for an amazing experience since we were in the area! My husband and I both grew up within a few hours from Corning Museum of Glass located in Corning, NY. We both had fond memories there and wanted our children to experience the same! Little did we know, they've had amazing new additions since our visits including a MAKE YOUR OWN GLASS STUDIO which opened in 1995. This studio has projects that can be made by every member of your family. We arrived to the quaint little town of Corning and took a shuttle from the parking lot to the museum. Surprisingly enough there were plenty of activities that were kid friendly, even toddler friendly and I didn't even get nervous about my children accidentally breaking something!!! KIDS AND TEENS ARE FREE! Fun for the whole family! All five members of our family were able to take a class. Yes, even my three year old! When you arrive at your 40 minute class be prepared and dress appropriately. Closed toe shoes and long sleeves are important for safety reasons, but if you aren't prepared (as we weren't) they have the proper garments that you can wear to keep you safe! During your class you will will choose your colors of glass that you want to work with, watch a demonstration, and then get started making your creation with the help of a professional! Even though one of the glass workers are there to teach and guide you, it's amazing how much you actually get to do yourself. What is even more amazing is how much our children were able to accomplish in their classes! Our 3 year old adding stickers to her cup before being sandblasted. I was impressed with these classes. I still can't get over the fact that my three year old was able to create a piece of art that she could take home that day! I just let her go crazy with the stickers and let her decorate any way she wanted. But the sandblasting isn't just for kids, there were adults in the class too coming up with some creative designs using not only the stickers but tape and letters to write something out, such as their name. My daughter loved finding different shaped stickers and creating a practical keepsake that she can use! I also can't get over the fact that my five and six year old were able to do glass blowing! Love it! I've hoped they could maybe experience something like this when they were older but to expose them to something like this at their age is so much more meaningful. I loved that they were able to see how the ornament was created from start to finish in a real and practical way. Because of the long cooling time of the glass blown and glass formed pieces, such as what my husband and I made, we either had to pick them up the next day or have the shipped. We weren't able to be there the following day, so we had them shipped directly to us. In less than a week, our creations arrived on our doorstep! Interestingly enough, the package included an extra piece! There was a confusion about my son's piece because the colors didn't seem to match what the paper said, so they made another one with the colors requested! I'm pretty sure the piece that arrived was his piece, and he just switched colors, but I thought that was kind and thoughtful that they would create and send another one just in case! My husband and I both had a chance to make our own flowers giving us the desire to want to do so much more! Fortunately many different types of classes are offered so if we ever are up in that area again we may need to visit longer! From now until January 2014 there is an exhibit opened called Life on A String: 35 Centuries of the Glass Bead. This was a great lesson on the history of the beads with some neat mirrors where the kids could see themselves wearing some exotic beaded creations. There is also the Contemporary Gallery, Glass Collections Galleries and the Glass Innovation Center with interactive exhibits the kids can enjoy! Think your kids will be bored walking through a glass museum? Think again! Throughout the day, different demonstrations are presented that you can stop in and visit at different times. One includes the making of a creation drawn by a child! That's right, your child can draw a picture and if it is chosen, then they will call your name on the intercom and you can come to the demonstration and watch them make your drawing out of glass right before your eyes! I was nervous the kids wouldn't find displays of glass all that interesting but then we found a neat little activity book that kept them entertained. They had a blast! They searched for different animals throughout the exhibit and had fun searching them out and marking off what they found! We watched one of the Hot Glass Shows the day we were there which was about a 15 minute presentation. The seating was comfortable and watching him work with the glass was entertaining especially because we didn't know what he was making until the end, a bowl! My whole family enjoyed our visit to the museum! Even though we weren't able to use both days of the pass I could see how you would need both days to fully enjoy everything the museum has to offer! Disclaimer: My family received admission to The CORNING MUSUEM OF GLASS and Make Your Own Glass classes in exchange for this review. A huge thanks to Mandy for making our family feel welcome during out visit! All opinions stated in this review are my own. Looks like great fun. Corning glass is so beautiful! We'll have to stop by there the next time we're in the area. What a neat place! It would be fun to take a trip there! We drive by on our way to visit family a couple times a year and have discussed visiting. After reading about your experience and seeing your pictures, I REALLY want to go! 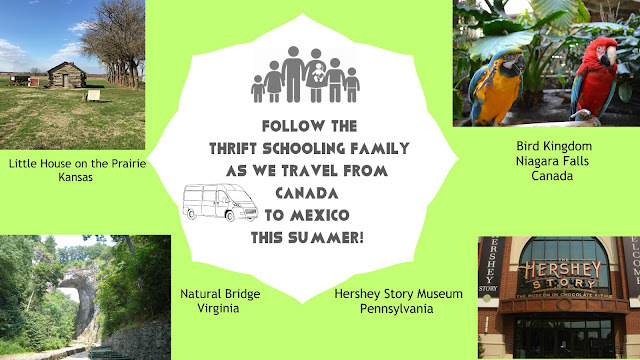 We loved our trip there with the kids as well! Everything is so amazing and family friendly. Glad you had a nice visit! That looks like such a fun family day. We love watching the glass blowers at Silver Dollar City, but have never made anything.